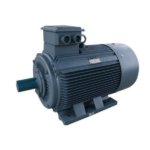 IEC METRIC AC Motor Solutions for air compressor, general purpose, special purpose, premium efficiency, and extra high efficiency oil well design applications. Motors are available in 1PH & 3PH from 1/3 (0.33) horsepower (HP), 246 watt in NEMA 56 frame, 5.7″ (145mm) Dia. to 300 horsepower (HP), 22.3Kw in NEMA 449TS frame, 23.8” (604mm) frame Dia. at 115VAC, 208VAC, 230VAC, 460VAC & 796VAC. RPM ranges from 825 RPM, 900 RPM, 1100 to 1135 RPM, 1200 RPM, 1800 RPM & 3600 RPM to match NEMA mounting specs. Motors have a 2 year warranty against material and workmanship, plus they carry CE and CCC rating. Cross-reference model info is included on many designs.